Hello, and welcome to this brief tutorial on renaming columns in NCSS. 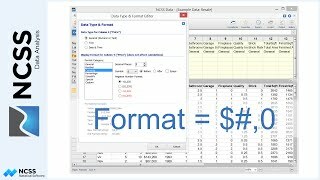 Often, you will want to change the name of a column in your dataset to make it more descriptive or easier to locate. 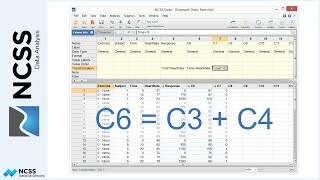 In all statistics and graphics routines, transformations, and filter statements you refer to a column by its name, so each column name must be unique. 1. Column names must begin with a letter. 2. 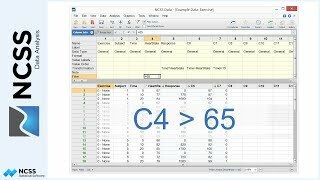 Column names can contain only letters, numbers, or an underscore. 3. Column names may not include spaces. 4. Column names may not include mathematical symbols. 5. Upper- and lower-case letters are treated the same… so names are not case-sensitive. To change a column name, click on the Column Info tab to display the Column Info Table. 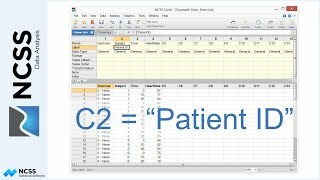 Select a cell in the row or column labeled Name and type in the new name. 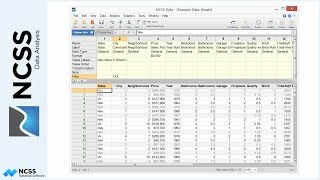 The corresponding column header on the data table will automatically be updated with the new name. If the Column Info Table is not showing, you can double-click any column heading to load the name editor tool. Type in the new name and click OK to apply the change. 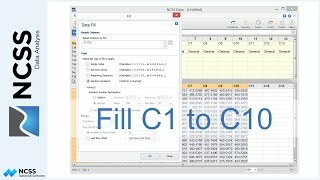 To load the editor tool using the menu, activate any cell in a column you’d like to rename and select Data then Rename Column. 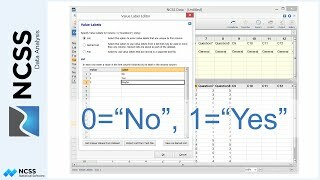 If you change a column name to one that is already in use, an “X” will be added automatically to the end of the new name. We hope that you have found this short tutorial helpful. 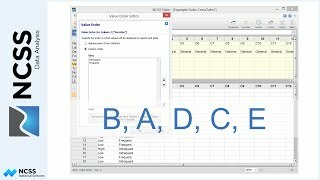 For more information about naming columns or any of the other items in the Column Info table, see the Data Window chapter in the NCSS Help documentation that is installed with the software.